eTCS-FZC provides best in class, high quality and cost effective Mobile App Development in Dubai, Abu Dhabi, Sharjah, Ras Al Khaimah, Al Ain, Fujairah, Ajman, UAE and also in Bahrain, Qatar, Oman and other Middle East regions. There are more than millions of mobile users and 70% of them use internet on the go. There are over 1 million mobile applications in the market today, performing a huge range of various tasks. A mobile app is a small program or software that resides on a Smartphone, using various operating systems like IOS, Android, windows etc. We can utilize the power of today's smartphones, with help mobile app, which can do some really unimaginable great things. You can use mobile apps for letting you know what's going on in the world, calculating exchange rates, movie or show timings, social media interactions, getting alerts about traffic, providing entertainment, ticket booking, booking hotel rooms, shopping, selling etc. Mobile app helps you to connect with a large amount of population and resulting in heavy traffic. In today’s competitive world more and more small as well as mid-sized businesses are following the Go Mobile trend. If it comes to understanding the trend, then the most effective mobile strategy necessitates more than just having a mobile responsive website. 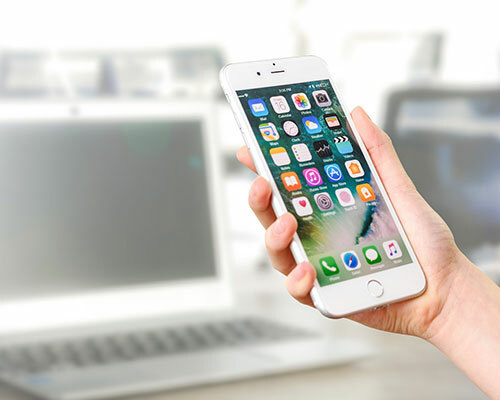 The modern marketing strategies demand more advanced trending apps and solutions for mobile marketing, which connects customers and businesses just (by) at a single touch. Our team of expert developers creates efficient and lucrative apps for our clients and increases their ROI to gain more customers. You can tap into the market of over 1.2 billion people already using smart phones, by developing an integrated app for your business. Android is a powerful operating system, offering a rich application framework that allows you to build innovative apps in a Java language environment. 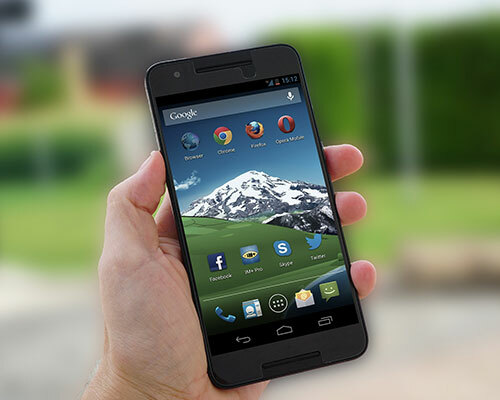 Android is Linux-based and is available as open source for developers to develop applications. Android provides Android SDK (Software development kit) for software development to the developers without any restrictions of licensing or membership. Apple's iOS is the most popular operating system used in mobile technology (iPhones), for it’s design elements being very user-friendly. The iOS apps are developed on MAC alone and uses Apple’s programming language called Swift. Xcode is the Integrated Development Environment (IDE) used by the iOS and the iOS app requires subscription to Apple’s membership program for them to go live. Contact us for Custom Mobile App Development Company in Dubai, Mobile App Developers UAE. eTCS-FZC - Ecumenical Techno Consultancy Services, is an leading web solutions and software solutions company in UAE. Our passionate and talented teams are expertise all kind of web design and software development services. We are engaged in creating new and effective ways to make our online solutions better and better. Our company's deep focus is on providing high quality web design, application development, seo services, mobile app development, erp software, crm software, library management system software and hospital management system software products. We provide solutions & services in Dubai, Ajman, Sharjah, Abu Dhabi, Al Ain, Middle East regions, India and USA.